Shrink Film,export carton,customized packing is also welcomed. Yellow/ Red/ Blue/ Orange/ Green And Etc. 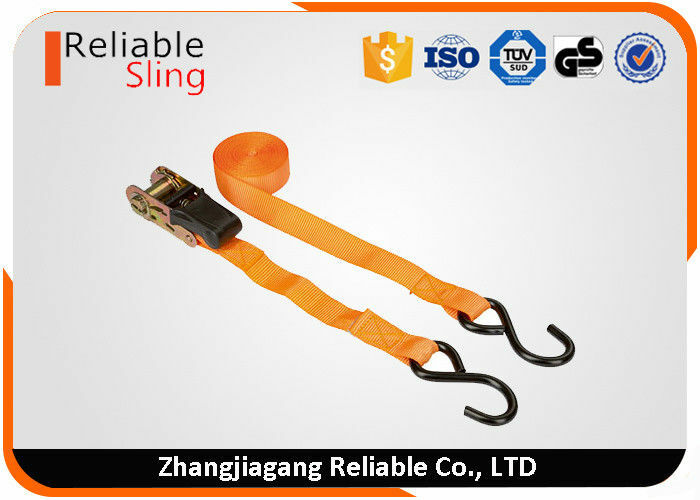 Including Flat webbing Slings, Round slings, Lashing systems, Towing Straps, Sling nets, etc. CE, GS, TUV certificate and OEM service available here. Ratchet Lashings are used for tying down loads whilst transporting , shifting or moving them. Min. Breaking Strength (M.B.S) stripes: each stripe is equal to 1 tonne M.B.S. 2. Resistant to mineral acids and alkali.